The UK-NOYCE Fellowship program is a financial assistance program supported by the National Science Foundation (NSF) that provides academic scholarship support for seniors and graduate students majoring in a STEM (science, technology, engineering, and mathematics) discipline and seeking to become teachers in mathematics and/or science. Fellowship amounts start at $10,000 (yearly) at the University of Kentucky. 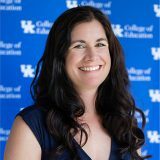 The UK NOYCE Program ensures that its fellows move into their professional lives equipped for life-long learning as STEM educators who will be active in leading colleagues in their schools, districts, and professional organizations. The ultimate goal in addressing these themes is to produce teacher leaders who work together to improve student learning among diverse populations and improve education in Kentucky and beyond.